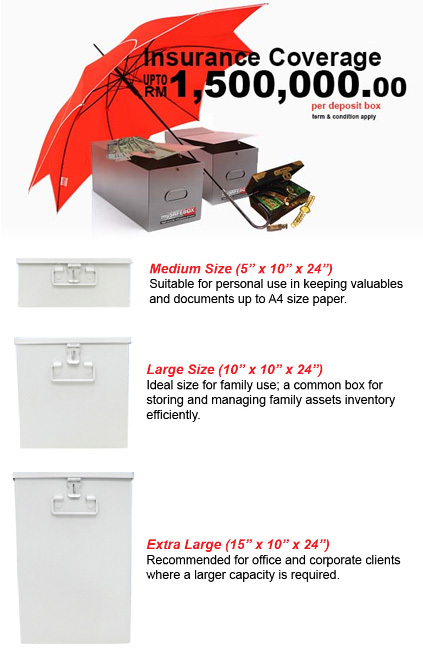 Looking for Professional Safe Deposit Box Provider? Unlike banks, whose impose restrictive hours on clients who are unable to access to their boxes during working hours, mySAFEBOX provide 24 hours 365 days of operation for busy clients to access to their important valuables/ documents any time, any day. Combination of many industrial expert, security experts, system experts, investing more than 5 million, according to the highest standards and detail planning; mySAFEBOX provide high security with a peace of mind to their customers. Please login to your member account and browse the "My Orders" and print the voucher we have provided to you to get instant rebate. This voucher cannot be redeemed for cash or cheque, transferred for value or refund. This voucher is valid with minimum purchase of RM500 from BuySilverMalaysia. This voucher is valid for 3 years / 5 years / 7 years subscription and cannot be used for more than one package on mySAFEBOX. Limited to one voucher per transaction and per account only. Print the original voucher to present upon payment. Payment in full is required together with the voucher. This voucher must claimed and redeemed on or before the expiry date after which the voucher is null or void. 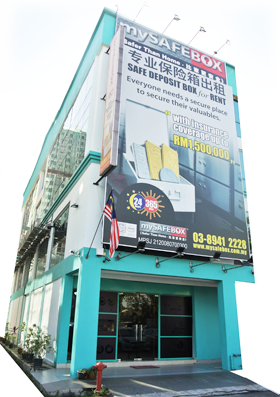 This voucher is deemed void if it has not been validated by BuySilverMalaysia and mySAFEBOX. This voucher is valid from 1st Jan 2018 till 31st Dec 2018.